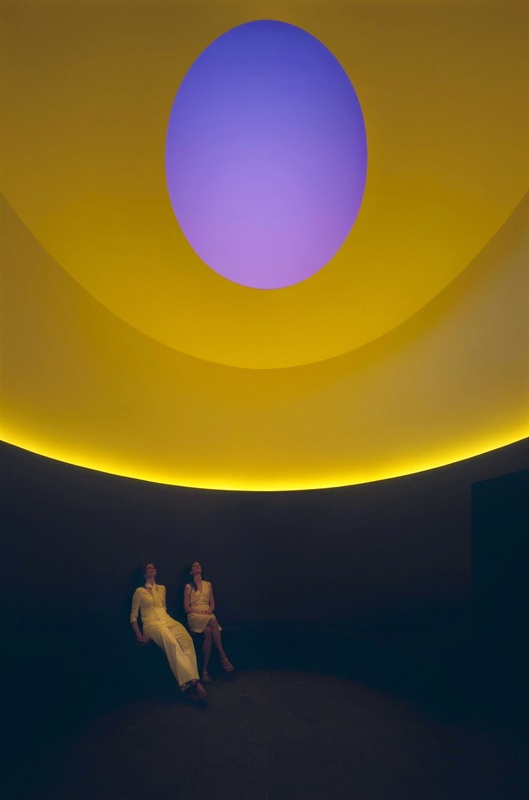 Overland Partners in collaboration with the artist James Turrell designed ‘The Color Inside’, a new public art landmark for the University of Texas at Austin. 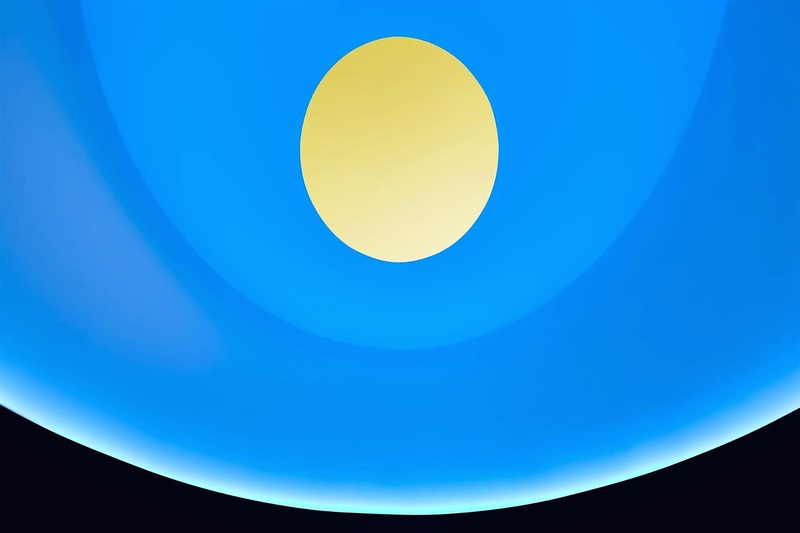 The artist was commissioned to design the latest of his installations that manipulate color and light, a new “Skyspace,” an inhabitable artwork that offers a space for quietness, peace and reflection. 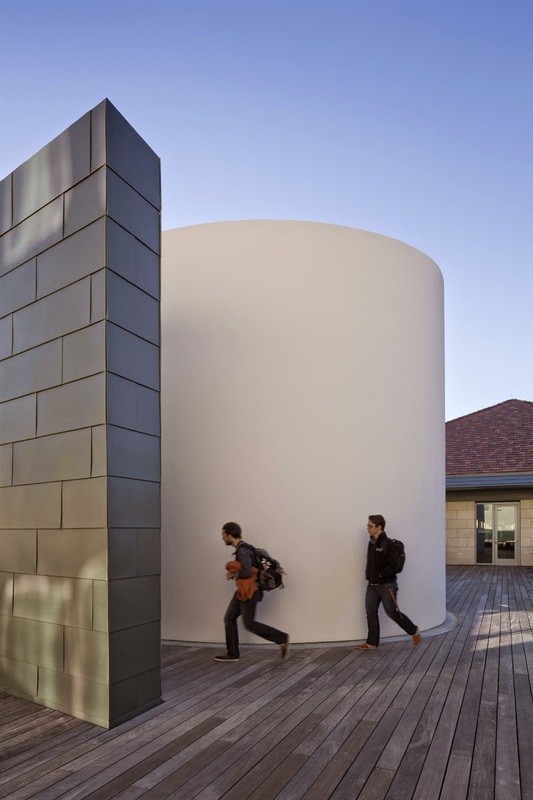 The Color Inside is a milestone in The University of Texas at Austin’s Landmarks public art collection. 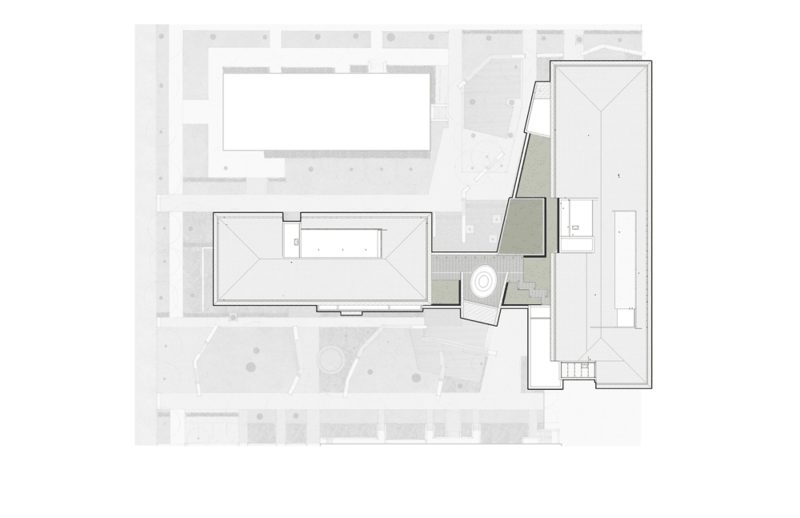 Located on the roof of the Student Activity Center, the project arose from the student body’s desire for a peaceful retreat at the Student Activity Center (SAC). 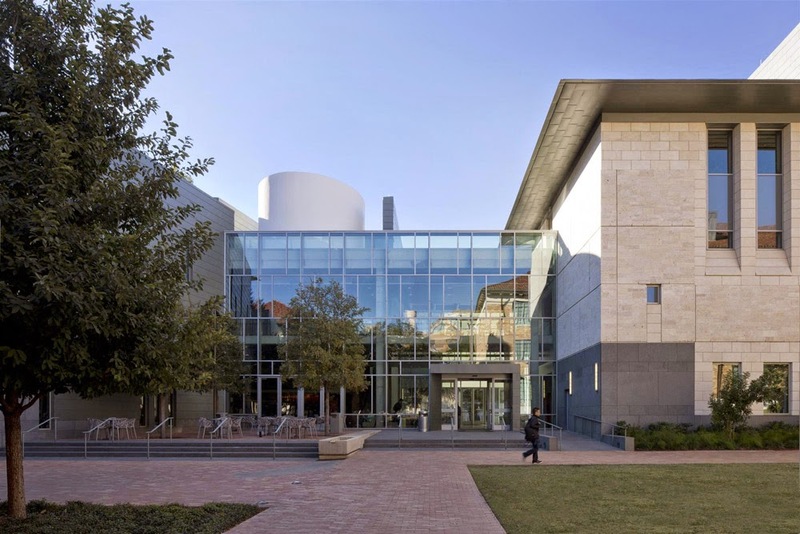 The SAC serves as a highly active social and cultural center with amenities that include, amongst others, a ballroom, black box theater, auditorium, conference rooms, and offices for student organizations. Through an in-depth participatory design process, students played a pivotal role in defining the programmatic functions of the SAC and the role it would play on campus. 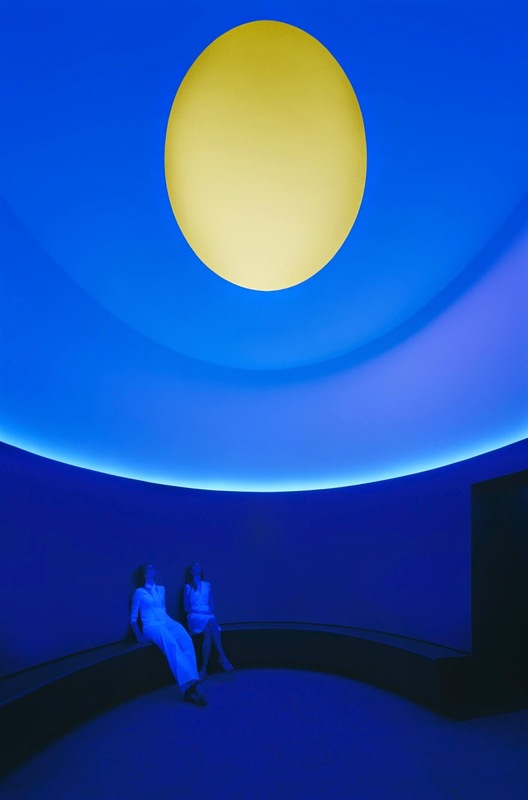 As a result, internationally acclaimed artist James Turrell was commissioned to design a “Skyspace,” one of his renowned inhabitable artworks, in order to offer a space for quiet amidst the dynamic atmosphere of the SAC. Tucked away on the rooftop of the SAC, the Skyspace remains partially hidden from view from the street below. Visitors make their way up to the third floor of the SAC, down a long corridor, and onto a boardwalk outside before the Skyspace is revealed. 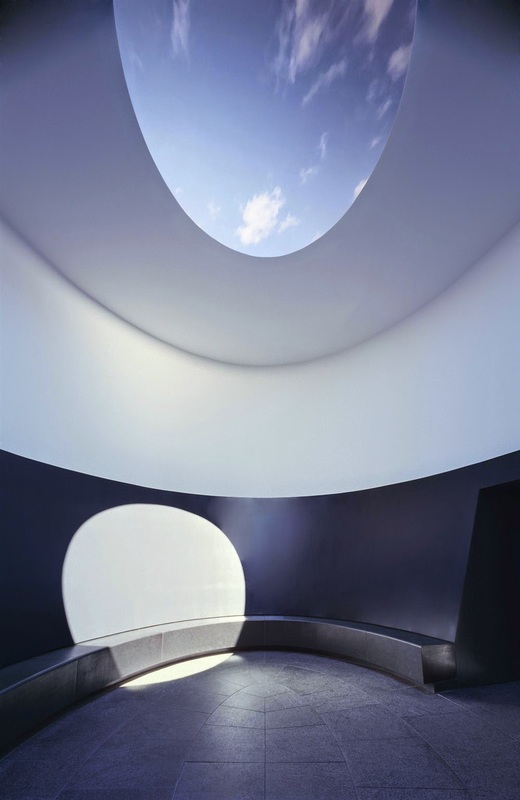 Once inside, visitors discover an elliptical space with radiantly heated, honed black basalt seating, basalt flooring, and a reclined plaster bench back that directs focus to an oculus in the ceiling above. 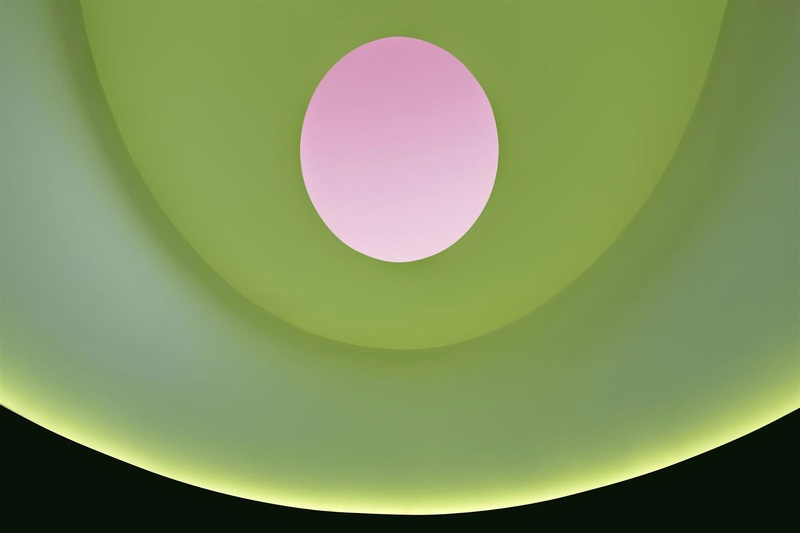 Computer-controlled LED lights tucked within a light cove illuminate the “sensing space”—a plaster surface located above the viewing bench—with changing color during an hour-long program everyday at dawn and dusk. 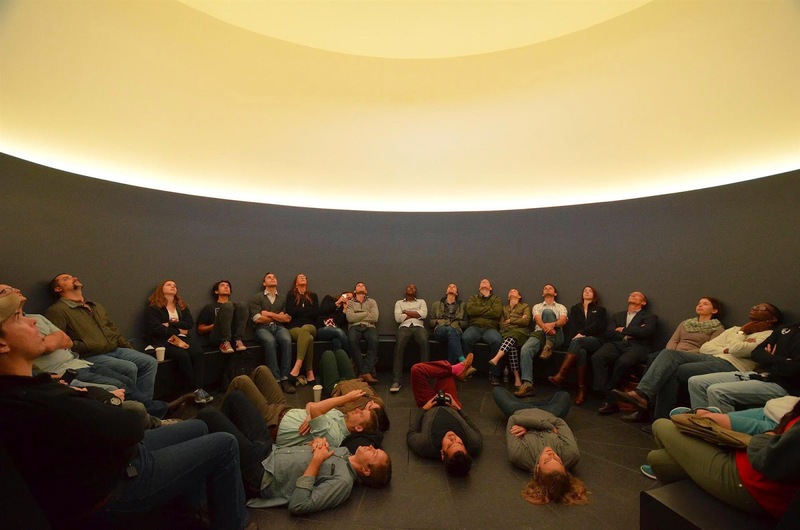 The space can comfortably accommodate 25 viewers at a time, offering an intimate yet communal experience. 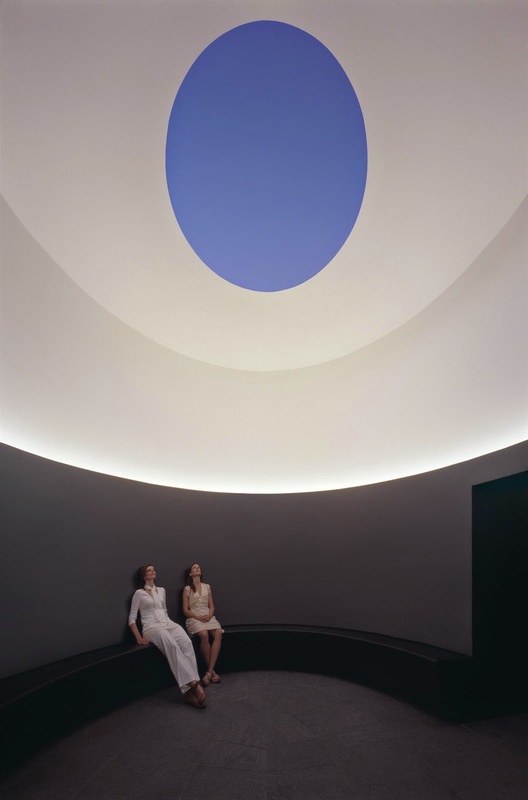 With the belief that simplicity facilitates spirituality, Turrell’s work tends to be spare; yet the deceptively simple space was achieved only through technical rigor. 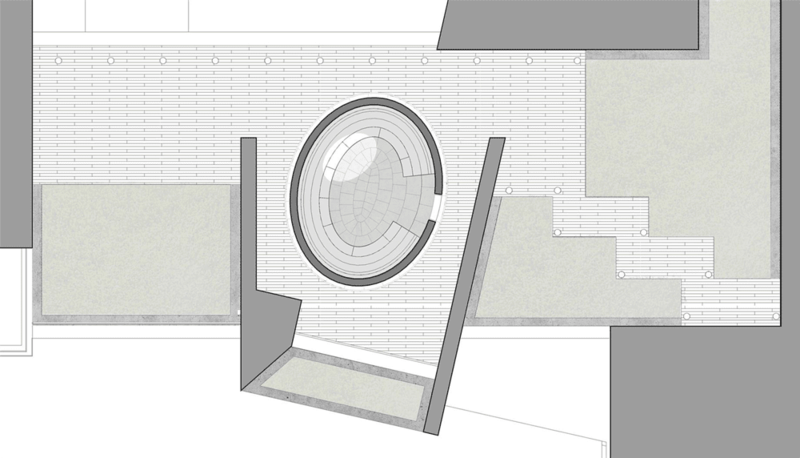 The elliptical shape of the Skyspace required nontraditional structural grids that relate to the major and minor axes of the ellipse. 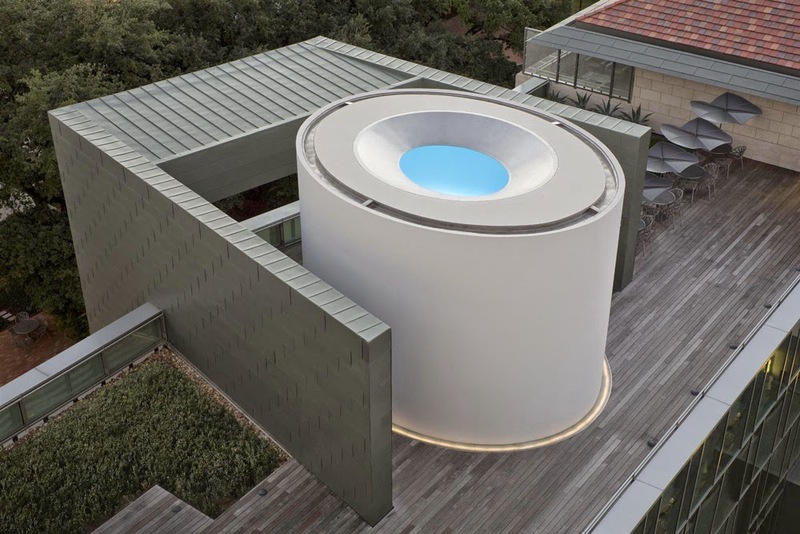 The weight of the structure prevented it from being installed directly on the concrete roof of the SAC, and as a result, the Skyspace actually hovers 7/8” above the roof, supported by two wide flange steel beams. The plaster finish, not typically used for a roof, was approached similarly to a metal roof assembly, with a waterproofing membrane located directly below the finish preventing water infiltration. The unusual requirement of a conditioned space with an opening to the sky created multiple challenges in regards to water and moisture control. The temperature of conditioned air entering the space from the plenum had to be carefully controlled and monitored to prevent condensation from forming when cold air came in contact with warmer air within the space. Additionally, all horizontal surfaces, including the bench, light cove, and floor, had to be treated as a roof condition in order to manage water runoff. The requirements for the interior plaster finish brought about its own unique challenges as well. 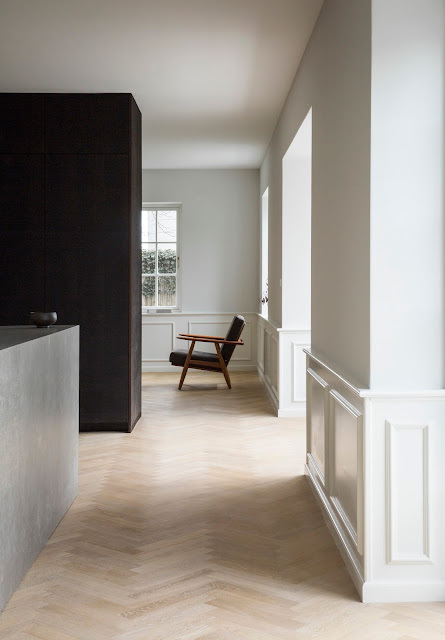 Because plaster will crack over time, control joints are typically integrated into plaster finishes to manage where and how the plaster will fail. 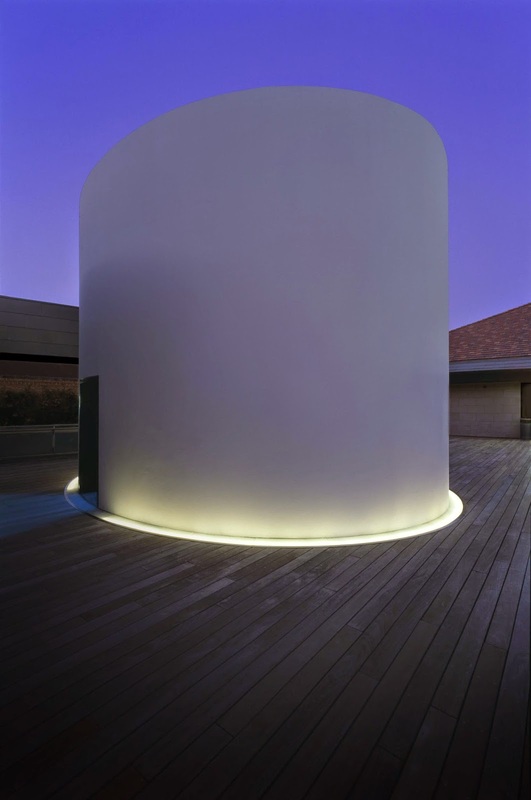 However, the space required an atectonic, seamless “canvas” to display the light. As a result, instead of using control joints, an elastomeric coating was applied to both the interior and exterior plaster surfaces, which expands and bridge gaps up to 1/8” wide when cracking does occur. 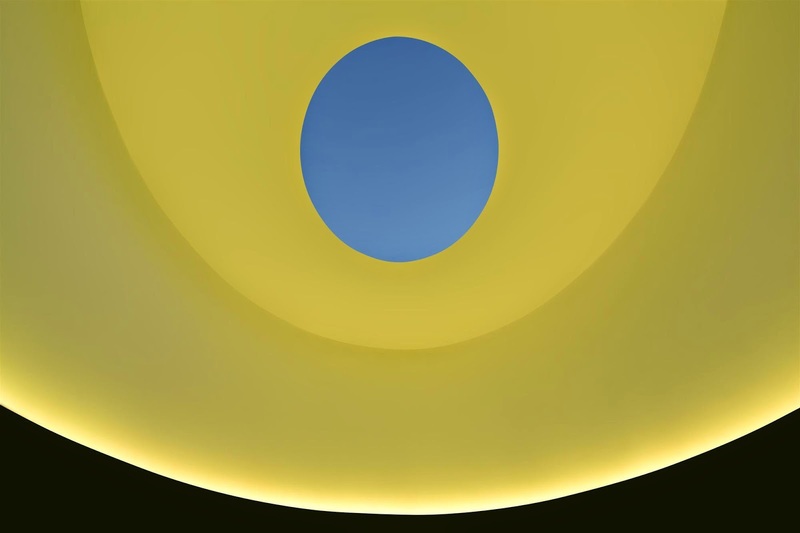 With a design and construction team dedicated to maintaining the integrity of Turrell’s artistic vision, as well as the vision of UT-Austin’s student body, The Color Inside is a remarkable work of beauty, detailed refinement, and exacting execution. 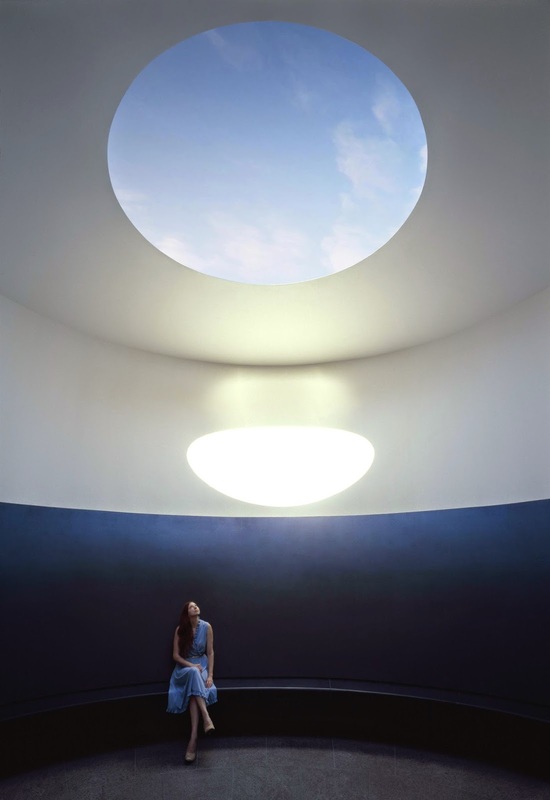 Due to their environmental specificity—and because they are permanent structures—only 12 of Turrell’s more than 80 Skyspaces are publicly accessible; thus The Color Inside provides a rare opportunity for the public to experience a Skyspace project while also providing the students with a space for peace and reflection.